Marketers have long been familiar with the concept of segmentation. Indeed modern marketing can often be thought of as the process of identifying segments (segmentation), choosing which segments to serve (targeting), and designing offerings for the chosen segments (positioning). What if we want to set prices in a “scientific” manner? Perhaps segments were mere crutches needed to support marketers facing an onslaught of data, and our computers can happily dispense with such artificial constructs when helping to set prices? 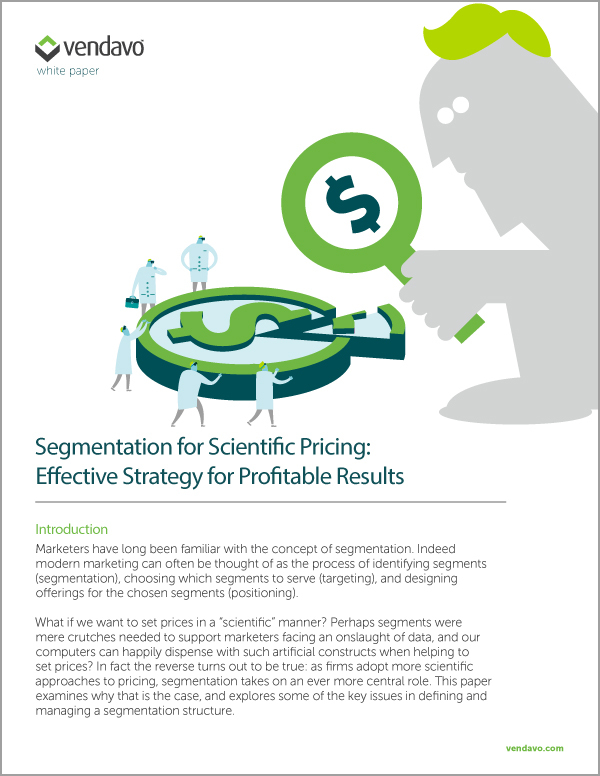 In fact the reverse turns out to be true: as firms adopt more scientific approaches to pricing, segmentation takes on an ever more central role. This paper examines why that is the case, and explores some of the key issues in defining and managing a segmentation structure. Download this whitepaper learn more about how to achieve profitable results through segmentation.